Adventure game developers discuss the strengths, weaknesses, and future of their favourite genre. Every few years, someone claims that adventure games are dead. But adventure games never died: they just changed. "I think what they really mean is the death of point-and-click adventure games," says Ron Gilbert, creator of Monkey Island and, more recently, Thimbleweed Park. "Games like Gone Home, Firewatch, and everything Telltale makes are adventure games, and they can sell millions of copies. But if we limit the description to point-and-click games, I don't know that I fully disagree. These games are a niche market now, but if you make them cheaply and efficiently, they can still do well. Dave Gilbert [no relation] has carved out a nice fanbase." "What's interesting is that those articles usually come out after a high-profile adventure game is released that's less than stellar," says Dave Gilbert, founder of point-and-click revivalist Wadjet Eye. "Suddenly a game speaks for all adventure games, and the whole genre is dead. This is a narrative that only seems to apply to adventure games. Roguelikes 'died' then came back. So did the platformer and the RTS. But people love talking about how adventure games died, or are dying. Even developers themselves! But I've been making them for 11 years and they continue to sell and support my family, so it's hard to take that kind of thing seriously." 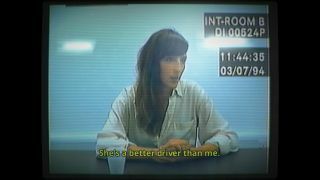 "When people declare things dead in the moment, the odds of them turning out to be wrong are usually close to 100%, so it's easy to brush this kind of thing off," says Sam Barlow, creator of experimental mystery game Her Story. "I think part of it comes from a certain self-consciousness and a certain desire for the medium to hurry up and grow up. Adventure games often feel like an awkward middle ground between the proper narrative games we aspire to and our cruder earlier attempts." Barlow explains that one of the adventure genre's greatest struggles is the idea of the player controlling the story's protagonist. "They become stuck in the weeds of the plot," he says. "I kinda like the fact that a lot of modern games have reduced the emphasis on the specifics of the actions, and focused more on dialogue and higher-level character choice. I'm interested in finding ways for players to be a part of the experience of a story without having to throw them into the busywork of 'being' a character." Francisco Gonzalez, founder of indie adventure studio Grundislav, thinks that adventure game designers often stubbornly cling to older design tropes. Mazes, illogical puzzles, excessive in-jokes and too much fourth wall-breaking are just a few of the elements that bother him. "If your game absolutely needs a maze, keep it brief," he says. "Add some sort of puzzle element that allows you to navigate it without having to map it yourself." "So many point-and-click games these days seem to have random puzzles that don't help move the narrative forward," says Ron Gilbert. "A good adventure game should also be about exploring a world, and in many games you're just teleporting from location to location. Firewatch and Gone Home are about exploring a space, and more point-and-click games need to do a better job of this. Build me a world I want to live in." He continues, "I don't know that I've played a point-and-click adventure made in the last few years that thoroughly engaged me. I'm a point-and-click snob. I think two things that have hurt the genre are illogical puzzles and puzzles that don't intertwine with the narrative. I still see these issues today. However games like Firewatch get around this by not having deep puzzles. Most adventure games are all about story. In a lot of ways they've thrown the baby out with the bathwater, and that is depressing." Olivia White of Owl Cave Games thinks too many adventure games still fall into the archaic traps of horrible logic and self-referential humour. "All the people working in the field today who do excellent work are the ones who are actively slicing away the old, rubbish parts of the genre and improving the good parts with surgical focus," she says. "Not all adventure games use moon logic, but plenty of designers are still stuck in the past." "This is actually one of the freer genres to work within," says Sam Barlow. "There are enough limitations that it kind of encourages people to play around the edges, and I think that's important. The adventure game fan is often of a certain type, and there's been a lot of intense, fairly academic discussion and analysis of the genre. It has a lot of fans and creators who are passionate about keeping things moving forward." I ask Ron Gilbert if the seemingly limited framework of the adventure genre naturally limits innovation. "For pure point-and-click games, it does," he says. "But people, including me, have a very rigid definition of a point-and-click game and resist change. After building Thimbleweed Park, I do think there's a stigma attached to the genre. People are often predisposed to think they won't like them, and that these games are full of illogical puzzles and bad narrative. As a creator you have a huge hump to overcome. We felt that every day making Thimbleweed." "There have been a lot of really innovative things done in adventure games recently," says Francisco Gonzalez. "I think the main problem is that if an adventure game tries to innovate too much, then people no longer consider it an adventure game. There's a notion that you need absurd inventory puzzles to be part of the genre, but I consider games like The Cave, which has platforming elements, and the heavily story-led Oxenfree to be great examples of modern adventures." "What adventure games do well is tell more intimate, more focused stories," says Dave Gilbert. "You wouldn't make an adventure game about a soldier fighting in a warzone. Nor would you make a beat-'em-up about a detective trying to solve a case. So can adventure games limit you? Sure. But for telling the stories I want to tell, the sky's the limit." So what does the future hold for adventure games? "We're going to see a lot more games that shed the point-and-click mould," says Olivia White. "I think we'll see a bunch of developers adopting the Telltale style, but I'd like to see more games doing interesting things with interactive narrative like Stories Untold and Edith Finch." "I think things are going to continue as they have for the past 20 years," says Francisco Gonzalez. "There'll always be a market for adventure games, and new generations of gamers will get into the genre through modern narrative games or the classics. But I hope adventure games will continue to evolve and not be afraid to go beyond the traditional genre trappings, embracing the move away from illogical, archaic design." "We're seeing more games with lighter mechanics and a greater emphasis on story and character," says Sam Barlow. "I think that's something that helps the genre, because it brings in audiences who are hungry for what makes adventure games tick, and also draws in new creators who are ready to mix things up. My vision of the future is one where the adventure game creators step into the world of streaming TV, where they figure out how to use performance and video as a way of telling stories." "More people are making adventure games than ever," says Dave Gilbert. "So we'll continue to see a lot of new and interesting games coming out." "If only I knew," says Ron Gilbert.